A stray kitten in Newport News, Virginia is getting a fresh start in life thanks to firefighters who found him at the scene of a house fire. 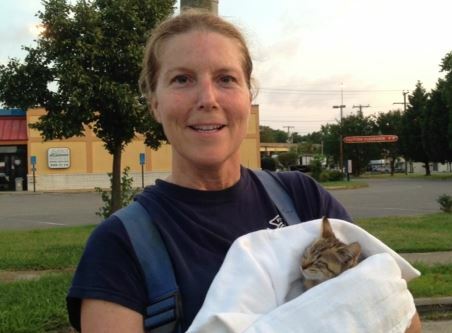 Newport News firefighters rescued the kitten when they responded to a call for a house fire at an abandoned and boarded up home in Southeast Newport News shortly after 5 a.m. this morning. The kitten is thought to have been taking shelter beneath the empty house. Master Firefighter Benita Diego told a news crew that firefighters found the kitten next to the home as they cleaned up after putting out the fire. 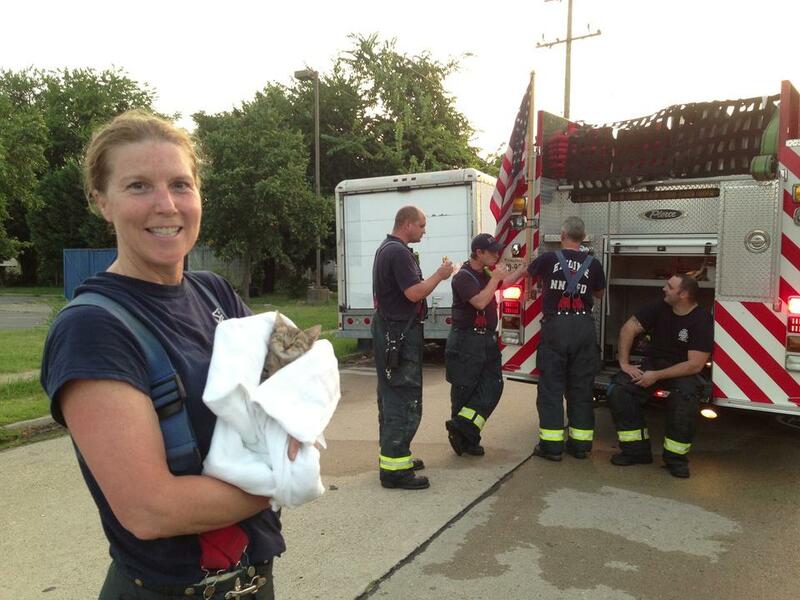 The firefighters planned to take the kitten to the vet to get him help for malnourishment and an eye infection. “Hopefully we can get him all fixed,” she said. Master Firefighter Diego said that it is common for fire department crews to find pets at the scene of fires, but it is less usual for them to find unowned companion animals. She said the firefighters are happy to help the strays. “We’re always glad to save anything we possibly can,” she said.